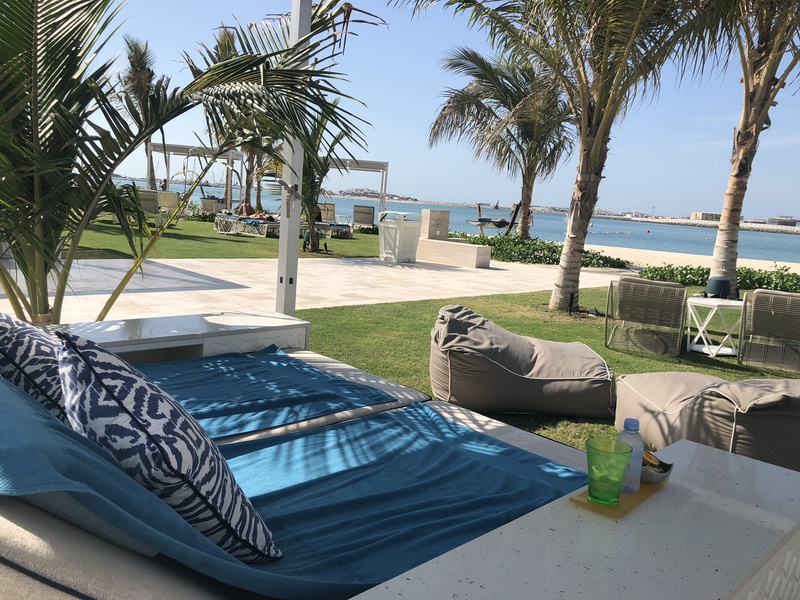 In a city as persistently hot as Dubai – its coolest month, January, still has average temperatures of 24 degrees and summer temps often top 40 degrees – finding places to swim is more necessity than desire. Luckily, Dubai pool clubs and beach clubs are like those in no other city. The good and very glam news is that travellers on a budget don’t need to be hotel guests to access the pool clubs. We’ve rounded up four where you can sample Dubai’s high life for a day, a weekend or on stopover. Before you flinch at the fee – remember you can stay all day!